Tour Edge is hinting its new CB line of metal woods is on the way soon, but it will take something exceptional to get the Exotics CB5 4 wood out of my bag. 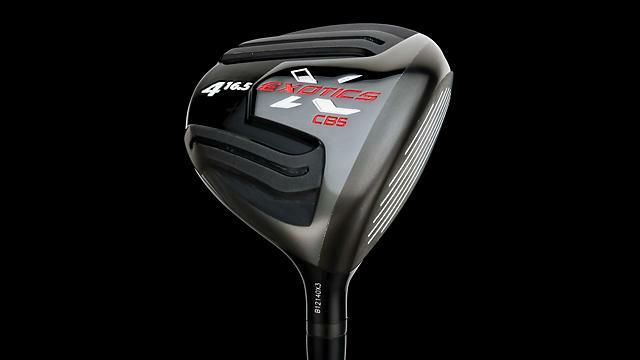 Full disclosure: I’ve always been a big fan of the Exotics line of metal woods, but the CB5 4-wood (16.5 degrees) with its Aldila RIP 70 Sigma shaft might be the most lethal club in my arsenal. It’s easy to hit off the ground and off the tee and like all Exotics fairways woods, is long and straight. The CB5 4-wood, thanks to its heavier steel body and deep, high center of gravity, also has a boring trajectory that’s not too high and not too light. In fact, it’s just right. In addition, I like the club’s black color and classic shape, but my favorite aspect of the CB5 4-wood is its versatility. I hit it accurately from 175 to 200 yards, depending on how far I choke down on the grip. The stiff flex shaft, I think, helps that versatility in that it keeps the club head more stable at impact.